SSDs (also called solid-state drives) are an alternative to the standard magnetic, spinning disk hard drives we’ve all been using for decades. You can think of them as USB flash drives on steroids. With no moving parts, an SSD offers more speed, greater reliability and decreased power consumption than magnetic drives. SSD capacities keep rising, prices keep falling, and SSDs show up in everything from phones to desktop gaming PCs, high-end workstations, servers, and any place where magnetic hard drives have dominated for decades. It’s easy to understand the enthusiasm for SSDs. SSDs are still expensive compared to magnetic hard drives. But here’s something to consider… right now, a 1 terabyte (1000 gigabytes) magnetic hard drive costs about the same as a 256 GB SSD drive — roughly US$50. But if you’ve only got 100 GB of data, the SSD is obviously a better buy, even though it has less capacity. An SSD drive is much faster than a magnetic drive; that means faster boot times and more responsiveness in applications, particularly when dealing with large data files. With no moving parts, SSDs are silent and less subject to mechanical failures. The uber-geeks at Tech Report decided to answer that question once and for all by continually writing 100 MB blocks of data to six consumer-grade SSDs until all of the drives die. The SSD torture test started in August 2013 and ended in March 2015. The six drives tested were nothing special, just off-the-shelf consumer SSDs that you can pick up at Best Buy, Tiger Direct, or even Walmart. The line-up included: the Corsair Neutron GTX 240GB, Intel 335 Series 240GB, Samsung 840 Series 250GB, Samsung 840 Pro 256GB, and two Kingston HyperX 3K 240GB. Each of the drives was warranted to last for at least 200 terabytes of data writes. That’s a lot more than the typical home or small business user will write in 3 to 5 years. Usually, manufacturers tend to over-promise on such things, but these SSD drives surprised everyone. The first fatality, a Kingston HyperX 3K, wrote 728 terabytes before giving up the ghost. The second SSD to die was the Intel 335, at 750 TB. The Samsung 840 Series gasped its last at 900 TB. Note that all of those drives lasted at least 3-4x longer than warranted. Three SSDs made it past the 1 petabyte milestone. 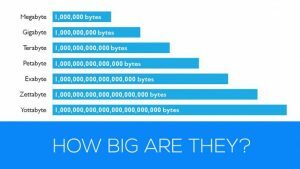 A petabyte is 1,000 terabytes, a nearly incomprehensible number normally found only in NSA or NASA IT projects. The first three seasons of the HBO hit, “Game of Thrones,” in 1080p MP4 format, would occupy 9,285,418,071 bytes (9.3 GB). One petabyte equals about 107,695 copies of that data set. The last two survivors (the Kingston HyperX 3K and Samsung 840 Pro) met their doom on the road to 2.5 petabytes. It’s noteworthy that NONE of the SSDs failed until they were 3.5 times past the manufacturers’ data-writing warranty, which is about 9-15 years’ worth of normal home use. So if anyone suggests that SSDs don’t last as long as magnetic drives, point them to this info. If you really want to bury them in excruciating details about the Tech Report testing methodology, SSD data storage techniques, and other geekiness, point them to the results of this SSD Endurance Test. A research paper published at the Usenix 2016 conference argued that SSD age, not usage, affects reliability. And high-end drives based on SLC technology are no more reliable than less expensive MLC drives. So outside of a “torture test” environment, you should not have to worry about your SSD failing in the first 3 to 5 years. 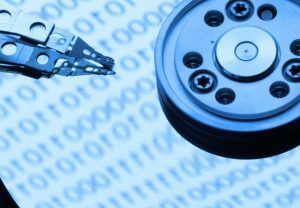 However, the study also found that the uncorrectable error rate for SSDs is higher than for magnetic drives, which means SSDs are more likely to lose data. So ironically, backing up SSDs is even more important than it is with magnetic disks. So if you are currently backing up *TO* an SSD, you should consider having a backup or your backup, preferably on a traditional magnetic spinning disk. A error message indicating that a file cannot be read or written, or that the file system needs to be repaired. Programs freeze up and crash. Errors that occur while booting up, which go away after retrying. Slow performance while accessing large files. If you notice any such symptoms, check out Crystal Disk Mark for Windows, or Smart Reporter for Mac OS X systems. Both apps can help you diagnose disk problems. 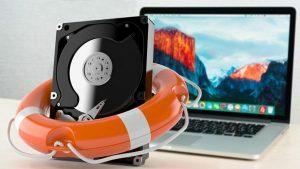 The SSD endurance test I discussed above concluded in 2015, but I’ll still wager that any of the latest crop of consumer SSD drives is likely to outlive your computer, and will probably last as long or longer than a magnetic drive. But don’t use that as an excuse to avoid doing regular backups. Are you prepared for a data disaster? We do not currently believe that this is specific to any viewer, and it can affect any pair of Regions (it seems to be a timing-sensitive failure in the hand-off between one simulator and the next). There is no known workaround – please continue logging back in to get where you were going in the meantime. We are very much aware of the problem, and have a crack team trying to track it down and correct it. They’re putting in long hours and exploring all the possibilities. Quite unfortunately, this problem dodged our usual monitors of the behavior of simulators in the Release Channels, and as a result we’re also enhancing those monitors to prevent similar problems getting past us in the future. We’re sorry about this – we empathize with how disruptive it has been. 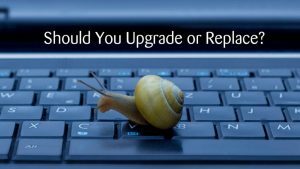 Should You Upgrade Your Old, Slow Computer? First, ask yourself whether your computer is too slow for you, or for someone else. Did you think, “Gee, my computer is slow” before your spoiled nephew with the brand new computer said, “Gee, your computer is slow!”? If you’re getting done all you want to get done, and fast enough for you, you may not need to upgrade. But if you’re not satisfied, read on! Some upgrades do get more work done faster, while others just make work more pleasant for you. A bigger monitor may be just what your tired, watery eyes need. A more ergonomic keyboard or mouse is another comfort upgrade; not that comfort doesn’t improve performance, but it’s mainly the comfort that counts. Twenty years ago, I was diagnosed with carpal tunnel syndrome. My doctor suggested both drugs and surgery, but switching to an ergonomic keyboard with the split/curved key layout completely eliminated my pain. When I type on a “regular” keyboard (the cheap, rectangular ones that usually come with new computers) I feel that familiar wrist pain again. Upgrading a monitor is a significant investment. But if you’re often using two programs at once, or find your limited screen real estate is slowing you down (switching from one app to another, or always scrolling), a larger, higher resolution monitor may be a good investment. But you should also consider ADDING a monitor. Consider the potential benefits of adding a second screen to your desktop setup. Amazon has a selection of 24-inch monitors (rated 4-stars or higher) starting at $89.99. This Sceptre 24-inch LED Monitor has both HDMI and VGA Ports, Full HD resolution built-in speakers, and tiltable stand. If you want something larger, this Dell D-Series 31.5-inch monitor is on sale for $164 with free shipping. 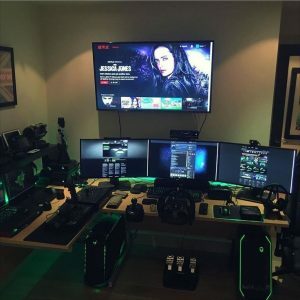 Two of those would make an awesome dual-monitor setup! Keep in mind that you may need a better graphics card to match the capabilities of a modern monitor, or a dual-monitor setup. A dedicated graphics card can take some computing burden off your CPU, making actual computation faster; but the increase in CPU performance won’t be very large. More RAM memory provides significant performance boosts at reasonable cost, up to a point. If you have too little RAM for the types of applications and the size of data files that you use, a lot of time and CPU power is wasted swapping data from RAM to disk and back again in “pages.” On the other hand, excess RAM just sits there idle, a waste of money that makes no discernible difference in performance. A rule of thumb is that general home users need a minimum of 4 GB of RAM; business and power users, 8 GB or more; and only the busiest video editors, database administrators, or gamers need 16+ GB of RAM. But modern versions of Windows can work with up to 2 TB (terabytes) of RAM memory. The operating system you have is very important when considering buying RAM. Increasing the size, thoughput and access speed of hard drive storage is a tempting upgrade option. A traditional magnetic hard drive that spins at 7200 rpm is much better than one spinning at 5400 rpm. Solid-State Drives (SSDs) are the bleeding edge of mass storage technology, but they are still expensive compared to magnetic hard drives. But here’s something to consider… right now, a 1 terabyte (1000 gigabytes) magnetic hard drive costs about the same as a 256 GB SSD drive — roughly US$50. But if you’ve only got 100 GB of data, the SSD is obviously a better buy, even though it holds about one fourth as much data. If you’re thinking about a new hard drive because you’re running out of space to stash your stuff, first try a little spring cleaning, and see how many gigabytes of garbage you can eliminate. Unwanted software, temp files, and duplicate files can chew up a lot of space. A careful pruning of music, photos, and video files may yield big gains as well. A word about Windows 7 seems appropriate here. You may have read articles in the tech press that Microsoft will end support for Windows 7 in January 2020. If you’re running a computer with Windows 7, that does not mean that it will stop working next January 14th. Nor will you be forced to upgrade to Windows 10 at that point. 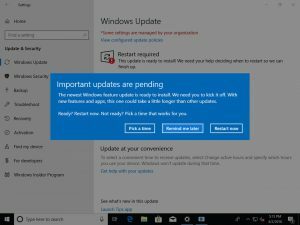 It does mean that you will no longer receive Windows updates for security issues that arise after that date. Probably. Microsoft has extended these “end of support” dates in the past, but there’s no guarantee they will do so. 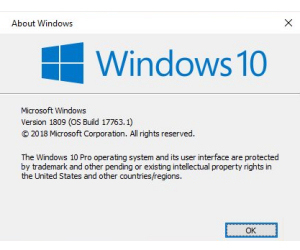 When the end of support for Windows 7 does arrive, you’ll need to decide of you want to stick with a 10-year-old operating system, or move to Windows 10, which is arguably more secure. If, between now and then, you end up retiring your old computer and purchasing new, your choice will be made for you. Deciding whether to upgrade or buy a new machine can be difficult. If you can install upgrades yourself, just add up the costs of planned upgrades and compare it to the price of new machines. But that simple cost analysis ignores half the cost/benefit ratio. You really don’t know how well an upgraded computer will perform until after you buy and install the upgrade(s), so it’s impossible to compare it to a new machine. Clean-up of unnecessary files and folders helps to keep your Master File Table nice and lean; with fewer files and folders to index, it’s easier for the system to find what it needs at any given moment. File inventory reporting utilities such as JDiskReport can find duplicate files so one can be deleted, or sort files in order of size to help you figure out where all that disk space is going. I use JDiskReport several times a year, and I always find gobs of files that can be deleted. Backups will also be faster if unnecessary files are eliminated. Another option is WinDirStat, if you prefer a tool that’s not Java-based. 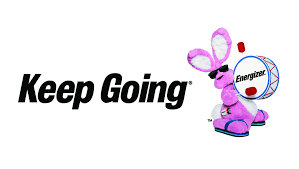 If you want to get rid of everything on a drive, in order to donate, sell, or safely dispose of it, try Eraser, a free utility for securely erasing data from a Windows hard drive. It works with all versions of Windows, from Windows 95 through Windows 10. Eraser has a simple name but it erases files completely in several complex ways. It’s a good alternative to using a 16-lb steel sledge hammer and a drill (both of which I have gleefully employed on occasion). Windows Vista, 7, 8 and 10 include a defragger which runs automatically. But word on the street is that it’s not exactly best of breed. I recommend Defraggler from Piriform, which can defrag entire hard drives, individual files and folders, or the free space on your drive. Defraggler will report on the health of your hard drive, and is SSD-compatible. t’s been widely reported that SSDs (solid state drives) should not be defragged, because they do not have mechanical moving parts accessing files on a spinning magnetic platter. The concern was that SSDs may wear out due to the high level of write activity that defrag operations require. However, Windows 8 and 10 both perform defrags on SSDs, and my understanding is that modern SSDs are not prone to wearing out like some older models did. Catching minor read/write errors and “weak spots” on a hard drive before they turn into major disasters is the province of error-checking and testing software. Early warnings of such flaws include a hard drive the “takes forever” to open or close a file, and an unusually hard-working cooling fan that is trying to chill the drive motor. 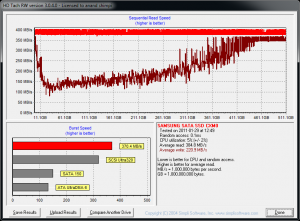 HD Tune is a free utility that checks for errors, measures drive performance, securely erases data, and much more. There’s also a paid Pro version that does more extensive testing. HD Tune has been updated for Windows 10. For a quick look at your hard drive’s S.M.A.R.T. (Self-Monitoring And Reporting Technology) status, try the free Speccy utility. In the Hard Drives section of the Speccy results, you’ll see some technical gibberish under the S.M.A.R.T heading. If it says “Status: Good” at the bottom, that’s about all you need to know. The only other info there you might want to check out is the Reallocated Sectors Count. If that’s greater than zero, you may have some defective sectors on your hard drive. Dividing one physical drive into two or more logical drives (denoted by letters, i. e. C:, D:, etc.) is called drive partitioning. One use for partitions is to install all of your application software on one partition and use the other to hold ever-changing data. Some users swear by this approach, but I find it simpler to put everything in one large partition. Of course, there’s an exception. If you want to run two different operating systems on one computer, each will need its own drive partition. Paragon Partition Manager Free is a well-established, reliable partitioning tool. How many of these tools have you used? Do you have an alternative you like? Have a great week from all of us on the ZI Staff. Yet Another Breach of Your Private Information? In just one of many recent examples, over two BILLION customer accounts were stolen in March 2019 from Verifications.io, an email marketing firm. 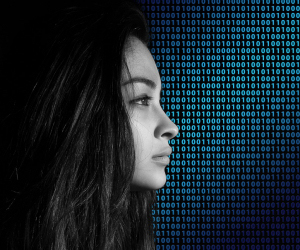 Forbes reported that the stolen data includes emails, phone numbers, addresses, dates of birth, social media account details, credit scores and mortgage data. Like I said, that’s just one of many. The Identity Theft Resource Center publishes a monthly Breach Report that identified over 80 data breaches in January 2019. The report shows the name of the company where the breach occurred, the types of data compromised, and the number of affected records. This handy infographic summarizes the data breaches from 2017 and 2018. Business, healthcare, and banking were the most common targets in the 2,800+ breaches from that time period. Were you affected by any of those breaches? 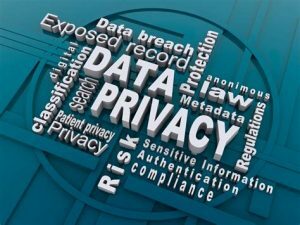 With a total of over 2.5 billion consumer records affected in the past two years, and over a billion Yahoo accounts compromised in 2016, I’d say you would be lucky to escape with your privacy unscathed. Valuable data such as account passwords, social security numbers, financial data, and credit card information is sold by the pound on the Dark Web. Check out the privacy tools below, for some tips on identifying if, when or how you may have been affected. I’ve also got some tips on how to protect what’s left of your digital privacy. BreachAlarm is a similar, but more proactive service that allows you to check anonymously if your email account has been hacked, leaked or compromised. They comb the dark corners of the Internet in search of stolen password lists that have been posted online. You can sign up for email notifications about future password hacks that affect you. Outline VPN by Alphabet, Inc., parent of Google, is a life-saving boon for journalists and activists in countries with repressive governments. It is somewhat effective for ordinary citizens free-roaming the Internet. A VPN (Virtual Private Network) provides encrypted connections between two or more computers to keep communications between them private. But all of the computers on a given VPN must have the same VPN client software and permission to be on this private network. You may have VPN client software on your machine, but that “cat” video site where you spend most of your work day does not. The connection from the video site to the VPN server is wide open and can be traced back to you. However, it is neither easy nor quick, and random citizens are not worth that much of a hacker’s time and trouble while so many of them fall for traps easily set. The Facebook Container Add-on For Firefox is nothing more or less than a private/incognito browsing window fitted into a browser tab. When first installed, the add-on deletes all cookies set by Facebook, including cookies set by other sites where you have used your Facebook ID to register, comment, or like. You interact with Facebook only in this special, blue-colored tab. In other tabs, you can interact with other sites and Facebook will not be able to track your Web activities. The downside is that you won’t be able to “sign in with Facebook” on other sites or share their pages to your Facebook page. Oh, and you’ll have to use Firefox, eschewing the many advantages of Chrome. Password managers are vital tools for privacy, security, and remembering passwords. If you’re not using a password manager, you are probably violating most of the rules for keeping your accounts secure. Here’s an article Can This Robot Manage Your Passwords? has links to Roboform and some other recommended password manager apps. The Google Password Checkup tool will alert you on the spot if the username and password you are about to enter on a website have been compromised. Password Checkup is a Chrome browser extension that checks your input against a database of four billion login credentials that Google knows have been compromised. Privacy.com is a service provider of single-use debit card numbers. You sign up by giving Privacy.com the keys to your checking account – username, password, and answers to security questions. I just did it myself. Wait, what?! NO, I did not, and neither should you! That’s not how virtual payment card numbers are supposed to work. A virtual payment card number is, essentially, a non-physical version of your “chipped” credit or debit card. It’s a random number that fits the required pattern of a valid credit/debit card number, generated at the point of an online sale. It is tied to your real card number for one transaction only, after which it won’t work for any payment. Credible institutions such as American Express, Bank of America, Capital One, and Citibank offer virtual card number services. Never get such things from strangers on the Internet, even if your uncle Joe knows a guy in a nearby city who lives near a police station, and he met a nice lady who recommended them. What steps do you take to protect your online privacy?